Kira Yukimura is Ken and Noshiko Yukimura's daughter. In Season 3, Kira is a new student at Beacon Hills High School. Kira starts and pursues a romantic connection with Scott McCall. Later, she is told the supernatural lives of he, his pack and Beacon Hills, and learns she herself is a Thunder kitsune. She then discovers her parents' secrets, that her mother is also a kitsune, and who summoned the Oni to Beacon Hills. Kira discovers her power and assists Scott's pack in their battle against the Nogitsune. 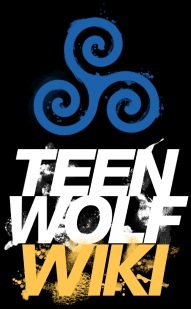 In Season 4, Kira is now an official member of the pack, best friends with Lydia Martin and Malia Tate, starts a romantic relationship with Scott and Noshiko starts to mentor her in using her powers. Kira, along with the Pack, fights back against the assassins hired for the Deadpool and forges her first kitsune tail. In Season 5, Kira's fox spirit evolves, courtesy of the Dread Doctors and Theo Raeken, becoming more powerful, independent and takes possession of Kira herself. To keep everyone around her safe from her inner fox, she leaves Beacon Hills. Kira meets the three Shiprock skinwalkers in New Mexico and pledges herself to them so to learn how to tame the fox. After instruction from her new mentors, Kira returns to help the pack against the Beast of Gevaudan and using new control and new talents, Kira delivers Theo to his undead sister as punishment for his crimes. Kira bids Scott and the pack farewell before she leaves again with the skinwalkers to fully navigate her kitsune abilities. Due to being the new girl at a new school, as well as dealing with her father being the history teacher, Kira comes across as being shy, listless, awkward and nervous, but perky and modest, looking to fit in and make friends at school. She is also sensitive and withdrawn, being confused by her supernatural status. Once introduced to Scott and his Pack, learning of their supernatural species and roles, she starts to come out of her shell, content and inspired. Exploring her supernatural nature as a kitsune, working with the Pack and discovering her capacity for combat and natural swordplay, Kira develops a sense of honor, camaraderie, and integrity. She proves to have fortitude as seen when she immediately joins the Pack without hesitation or fear. She shows a sense of ethics, being dismayed and feeling betrayed once she learns of her parents' secrets and taking to the Pack's belief in rehabilitating and saving lives instead of eliminating threats by protesting her mother Noshiko's actions and more draconian approach to eliminate the Nogitsune by outright killing Stiles Stilinski. Though she maintains her sweet and introverted demeanour, having found the circle of friends she clicks with, Kira is a caring, confident, dutiful, courageous, intellectual and a bubbly young woman who's easy to talk to. She has an open mind and vast strength of character as shown when Scott tried to kill her as a Berserker under Kate Argent's control, as she was able to get over her distress, and not once considered Scott guilty or responsible for her injury afterwards. She is prone to frustration and insecurity as she feels distressed when she feels unable to protect those she cares for as she feels guilt and uselessness when she starts to lose control of her Fox Spirit, causing problems for the Pack and when she almost kills her mother during a training sessions. Ultimately, like her boyfriend Scott, Kira has a strong sense of maturity, is selfless, putting the needs and lives of others before herself as she accepts the skinwalkers' deal that she'd have to leave Beacon Hills and her friends indefintely in order to fully navigate her Fox Spirit. Due to her kitsune side, Kira is natural at sword play. When she wields a katana sword, the weapon works as a gateway for her Fox spirit. Kira is a Thunder Kitsune, she has influence over electricity. Kira is able to absorb gigawatts, and electrocute foes upon physical contact. She has forged her first Kitsune tail by activating her healing factor. Kira was born to Ken and Noshiko Yukimura++. Growing up, Kira was kept in the dark of her mother being an immortal kitsune as well as her father's knowledge of the supernatural. Unbeknownst to her, Kira never got sick because of her kitsune heritage+. Before moving out west to Beacon Hills, Kira and her parents lived in New York+.